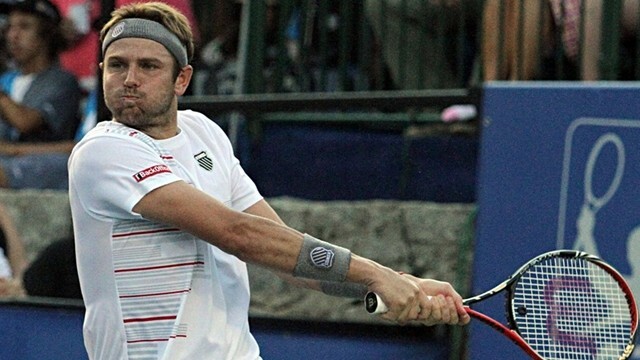 Not many players can revive their careers in their mid to late 20s’, let alone at the age of 30, but for Mardy Fish, he makes a special exception to the rule. Known as a journeyman on tour throughout the early 2000’s, Fish’s only claim to fame had been three titles and a surprising run at the 2004 Summer Olympics in Athens. Taking down greats such as 2003 French Open champion Juan Carlos Ferrero and 2007 Australian Open finalist Fernando Gonzalez, The American made his way into the final for chance to win the gold medal in men's singles. Facing off against Nicolás Massu, Fish held a two sets to one lead over the Chilean in the best-of-five match before for falling 6–3, 3–6, 2–6, 6–3, 6–4, settling for the silver medal. It was not until 2010, when the Minnesota native regained his form and cracked into the Top 20 of the Emirates ATP Rankings for the first time along with winning the inaugural BB&T Atlanta Open. In the city’s first professional tournament in over a decade, Fish triumphed in his much anticipated semifinal match against long-time friend and No.1 seed, Andy Roddick, 7-6(5) 6-3. It would be Fish’s first win against Roddick in nine consecutive matches since their first career meeting in 2003 at Delray Beach. The final showcased Fish encounter rising American and former collegiate star John Isner. Unfazed by Isner’s booming serve, Fish was able to maintain momentum in the tight match against the No. 2 seed and come out victorious 4–6, 6–4, 7–6 (4). After a quarterfinal run at Wimbledon, retaining his Atlanta title while saving two second-set match points in another Isner rematch and qualifying for the Barclays ATP World Tour Finals for the first time, Fish ended 2011 with a career-high of No. 7. Unfortunately after the hard court specialist’s career year, Fish began to develop severe anxiety issues that would require him to pull out of previously scheduled tournaments and even stop traveling all together. The rare form of arrhythmia eventually needed surgery, sideling Fish for the remainder of the 2012 season after the U.S. Open. In March of 2013, Fish began his return to the tour at Indian Wells. After managing to only play 10 matches that year, the American sat out the next 18 months to deal with his lingering disorder. Looking to continue his long awaited comeback, Fish will begin his summer hard court season in Atlanta after a brief return in March at Indian Wells. The 2008 finalist fell to fellow American and 2013 BB&T Atlanta Open semifinalist Ryan Harrison 6-4, 4-6, 7-6(4) in the first round of the BNP Paribas Open. The remainder of Fish’s year will be focused on conquering his on court fears and hopefully play at the U.S Open in New York. Along with playing singles, Fish and Roddick will team up to play doubles after having won two titles and a runner-up appearance before Roddick’s retirement in 2012.